Income investors attracted to the stock's double-digit dividend growth rate and long-term prospects may be wondering what this tragic event means for Boeing's dividend profile and future. Let's take a look. Boeing's 737 MAX series first flew in 2016, with airline deliveries beginning in May 2017, according to The Wall Street Journal. Analysts estimate that the MAX plane model accounts for approximately two-thirds of Boeing's future delivers and about 40% of its total profit, underscoring its importance to the business. On March 10, 2019, Ethiopian Airlines Flight 302 crashed killing 157 people. This was the second crash of a Boeing 737 MAX 8 plane model in five months, following the Lion Air crash on October 29, 2018, that killed 189 people. Blackbox data from the Lion Air crash showed that the pilots were struggling to regain control from the autopilot system, which put the plane into a nose dive and crashed it into the ocean. That's because, according to Peter Lemme, an expert in aviation and satellite communications and a former Boeing engineer, the new safety system in the MAX is designed to point the nose down if the computer's sensors determine the nose is too high and the plane is at risk of stalling. The Lion Air flight was at 5,000 feet when the sensor apparently told the computer the plane was in danger from a "flight control problem." The crew, unaware of how to deal with the new system (for which they had not been properly trained), didn't have time to figure out a solution as the plane flew into the ocean. According to Mr. Lemme, the computer kept fighting the pilots over 11 minutes, a total of 26 times after they attempted to put the nose up. While the Ethiopian crash investigation has just gotten underway, regulators around the world are worried that the same software problem might make all 737 MAX 8's unsafe, and have been grounding planes by barring them from flying in their airspace. On March 13, 2019, President Trump signed an executive order grounding all 737 MAX 8 and 9 planes in the U.S. A day later, Boeing announced it was grounding all of its 737 MAX planes worldwide "out of an abundance of caution and in order to reassure the flying public of the aircraft's safety." A company spokesman has said the company is "taking every measure to fully understand all aspects of this accident" and correct it as quickly as possible. With some industry experts warning that it could take months for the investigation to determine the exact cause of the crash (final report likely will take a year), some investors are worried about what this crisis means for the most successful plane in Boeing's history. After all, the company has delivered 453 of the 737 MAX planes thus far to 40 airlines and has 4,708 more on order. This means the 737 is about 80% of Boeing's backlog of commercial jets. Already Lion Air has cancelled a $22 billion order for the planes in favor of Airbus A320's, although that might be for PR reasons given that the 737 MAX was Lion Air's plane that crashed in October. First, it's important to realize that we don't yet know what caused the Ethiopian Airlines crash. The Lion Air crash appears to point to a software problem on Boeing's latest jets as one of the causes though poor maintenance and inadequate training also appear to have contributed. The Wall Street Journal is reporting the company plans to fix the safety system with a software update in April. That patch has been in the works for months following the FAA's order after preliminary data from the Lion Air crash pointed out the dangerous flaw in that new safety system. "In our opinion, the accidents may result in additional expense and some delay in orders, which, from a business perspective, could pressure financial results...Longer-term, we believe the outlook is balanced by the backlog of other planes (such as the 787), recent defense program wins, and the expansion of the services business... Overall, we believe shares are appropriately valued for long-term investors." In other words, a potentially weaker than expected 2019 is not a reason to sell an otherwise solid company, whose duopolistic position in commercial jets helps make for a safe dividend. One that's grown an average of 13% annually over the past 20 years and has been paid without interruption for more than 25 years. While it's always possible that rival Airbus might see a bump in orders for its offerings in the next few months, as occurred with Lion Air, investors need to remember that Boeing and Airbus are an effective duopoly. Only so much production capacity is available between the two companies to fulfill all commercial demand for new planes each year. Unless investigators determine a major structural design flaw was the cause of the crashes (no indication of that thus far), Boeing's customers are unlikely to cancel their 737 orders out of pure necessity. It's also worth noting that this isn't the first time Boeing's jets have had problems or been grounded. In 2013 the 787, brand new at the time (developed over 8 years at a cost of $32 billion), was grounded for four months by the FAA after lithium-ion batteries caught fire on several planes within weeks of each other. Boeing corrected this issue relatively quickly, and today the 787 has a backlog of 604 planes, representing nearly four years of deliveries at the company's current production pace. The 787 didn't see a wave of cancellations, and given that the 737 MAX has somewhat lower operating costs than the Airbus A320, it's also unlikely to see customers defect en masse. Boeing's current backlog ($490 billion in size) represents seven years of new plane deliveries, and its CFO estimates that the company's addressable market over the coming decade is $8.1 trillion. Simply put, Boeing's cash flow isn't going to fall off a cliff anytime soon, even if the 737 crash investigations take longer than anticipated to reach a final conclusion as to the cause of the accidents. This is money that can be used for paying down debt, repurchasing shares, or making acquisitions. Boeing's balance sheet is in great shape with only $2.1 billion of net debt and an A-equivalent credit rating from Moody's (the firm says the latest crash won't affect Boeing's rating), so the company has plenty of financial flexibility to deal with any fallout from these tragic events. 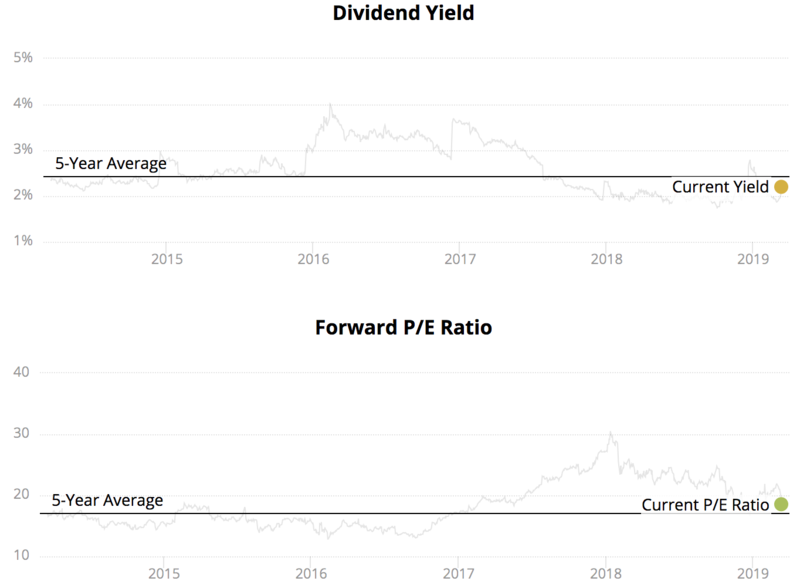 However, it seems very unlikely that these costs would total billions of dollars to threaten the dividend's safety and long-term growth profile. The bigger risk would be if Boeing has to reduce production of its most popular plane model or redesign the 737 MAX 8 (rather than implement a simpler software update and more training). These events would hurt the firm's cash flow given Boeing's capital intensity and need to keep its factories humming. However, based on what we know today, neither event seems likely. While Boeing's long-term thesis doesn't appear to be impacted by this latest news, the company's stock could still tread water until more is known. After all, shares of Boeing have surged in recent years, sending the stock's dividend yield to multiyear lows while propelling its P/E ratio above 20 earlier this month. Whenever a stock's expectations look high, it doesn't take much bad news to cause a meaningful selloff. So while the 737 crisis could blow over thanks to a software fix and more thorough pilot training that makes Boeing's most important plane safe again, this short-term price decline hasn't necessarily brought with it an attractive buying opportunity. Also remember that it's always possible that the Ethiopian investigation determines a different cause of the crash, one that might not be so easily or cheaply corrected. With any volatile company, especially in a cyclical industry such as commercial aerospace, it's important to buy with a high margin of safety, so a wait-and-see approach seems appropriate for now for conservative investors. The tragedy of these two crashes, which claimed the lives of nearly 350 people, certainly creates a lot of headline risk and drama for investors to fret over. Given the evidence so far pointing to a software problem being the most likely cause of the crashes, Boeing's long-term thesis likely remains intact. Simply put, mass customer cancellations on the thousands of 737s in Boeing's backlog are not likely coming, especially considering Airbus's inability to offer suitable replacement planes in a timely manner. However, despite the drama and selloff over the past week, Boeing's stock doesn't appear to be priced like a bargain today. In situations like these, where a company we own faces heightened uncertainty but its dividend remains safe and the firm's long-term outlook will probably remain unchanged, we like to stay put.